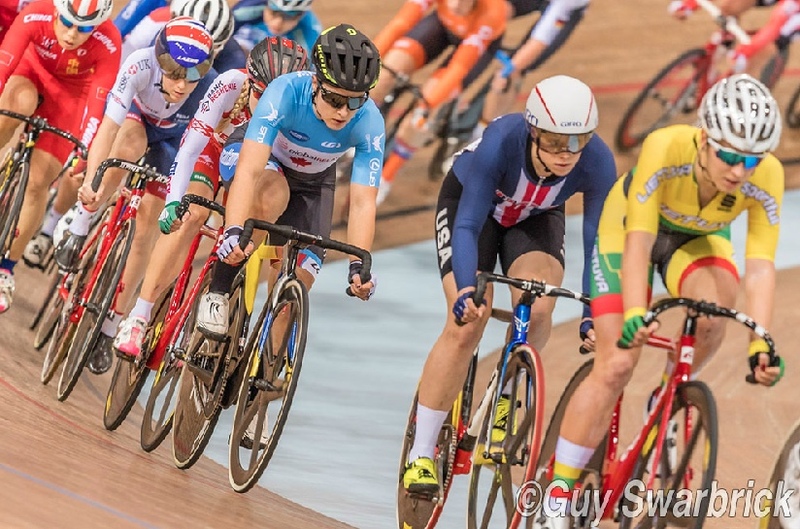 Success at Track World Cup V - an Update from Devaney Collier! Juventus member Devaney Collier currently trains with Cycling Canada's NextGen Program. Canada used the fifth World Cup in Minsk, Belarus to give the group experience on the world stage. Experience indeed . . . congratulations to Devaney for Bronze in the Team Pursuit and competing well in the Omnium! When I asked the team Canada mechanic, Dan, what to expect while in Minsk he said “Well, do you like vodka?”. That more or less sums up the country. 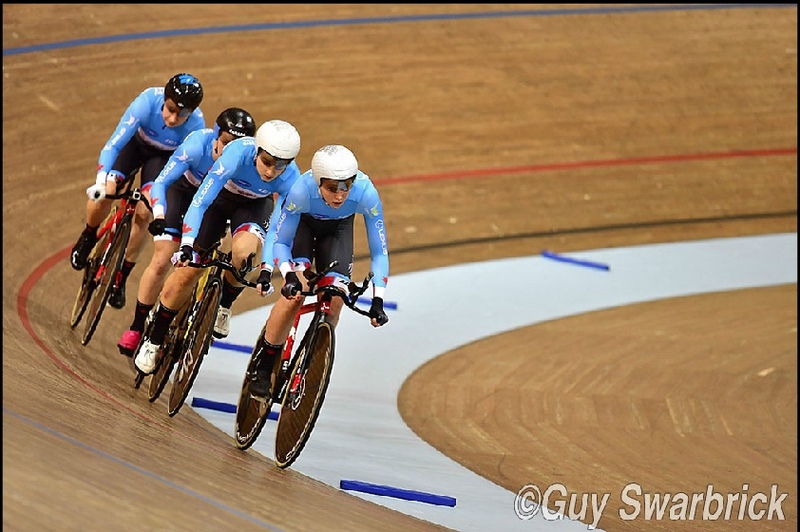 After a near 2 week prep camp in Milton, Sara Giovannetti, Erin Attwell, Laurie Jussaume, Maggie Coles-Lyster and I were primed and ready to take on our first world cup team pursuit. We were pretty confident in our counterclockwise oval riding capabilities, although it was a test of fortitude when our coach, Jenny Trew, had to opt out last minute due to a family emergency. Thankfully her son and our favourite fan, Camden, is on the road to recovery and progressing well. Canada's NextGen Team puts together a smooth, fast TP at the 2018 World Cup V in Belarus. Since our arrival in Belarus on Jan 16th, we have all been pleasantly surprised by the grandeur of the hotel, and ease with which everything has run. The Velodrome was decent and fairly equivalent to Milton in terms of speed and handling difficulty. I think 2 PB’s and a bronze medal are testament to that, but more so to the hard work of the athletes, staff and coaches over the past few months especially. We are proud of this achievement, but more excited by the progress our training has reaped. We're enthusiastic about turning our sights to the road in order to set up for bigger, better more badass results next season. 2018 World Cup V - Minsk, Belarus - Canada wins Bronze in Women's Team Pursuit! Yes, it was ouchie. Those last 3 races occurred in about a total of 1.5 hours. Overall I would have to say I am not unhappy with the results. My goal was: find out how to race smarter, I can’t out-gun these women (yet), so I need to learn how to use my maximize my strengths through tactical decisions. I definitely learned what not to do! I look forward to doing many more Omniums in the future but really enjoyed (literally) rubbing shoulders with the best! Devaney Collier competes in the 2018 World Cup V Omnium. Posted on January 21, 2018 by @Juventus Cycling .